MULTI GENRE PRODUCER MIKE LENNON IS BACK WITH A SLICK HOUSE/TECHNO NUMBER WITH HINTS OF THE DETROIT SOUND. THE INTRO ROLLS ALONG WITH MANY BLEEPS AND GLITCHES TO KEEP THE LISTENER HAPPY AND DROPS INTO A MASSIVE SUB BASSLINE AFTER A SMALL BREAKDOWN. 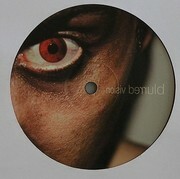 THE REMIX ON THE FLIP IS PROVIDED BY DAVID FORBES UNDER HIS “SEBROF DIVAD” GUISE, THINK ADAM BEYER! THE REMIX IS A DEEP JOURNEY INTO MINIMAL TECHNO AND AT AN EPIC 9 MINUTES LONG IT’S ONE HELL OF A JOURNEY! !